What: She earned a Ph.D. in English, taught college literature and writing, produced and wrote episodic television, published articles, book reviews, and poetry. Her Charlie & Rose series includes DEAD IS BETTER, DEAD IS BEST and DEAD IS GOOD. 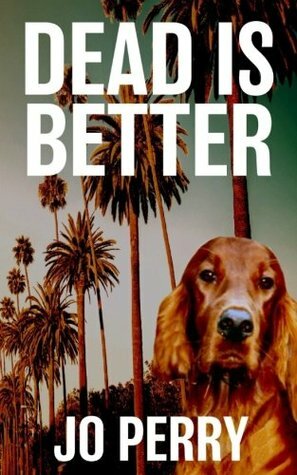 I just read DEAD IS BETTER. What inspired such an original concept? Looking back, I think a couple of things inspired me: I’m in my 60s and the fact that I have an expiration date has become impossible to ignore. So I guess I found myself contemplating death in a serious, curious, voyeuristic and prolonged way. Taking home a dusty, confused and thirsty dog that had been dumped in a Home Depot parking lot on a very hot day in 2008 is what led, I see now, to writing the book. This dog that someone felt could be discarded like trash—we named her Lucy—changed my world and changed me. I’d always had cats and had no instinct for the canine temperament, but Lucy was a very patient teacher. Lucy is one of the smartest, kindest and most interesting beings I know. She and our other dog, Lola (she was dumped in an alley behind our house) will be 10 in February. They’ve led me to new experiences, new friends, and often allow me to see the world from a canine point of view. And once a dog was part of my life, I was in a position to see the everyday, casual cruelties inflicted upon them. Gross acts of neglect and cruelty make the news, but in parks, backyards and on the street, I witnessed unkindness—too-long periods of confinement; chains; choke collars; prong collars; electronic shock collars, and so many violent yanks of the leash—which made me feel helpless, sick and angry. I once asked a man to stop and he choked his dog again right in front of me. I learned to shut up. All of the chapters in DEAD IS BETTER start with quotes about death. How did you choose the quotes? Do you have a favorite? The title is a quotation from Stephen King, so there’s that. And I was reading about death, thinking about death, etc. But because the book is told in the first person in the voice of the murdered protagonist, the epigraphs give the reader a break, to come up for air, and allow him or her to hear another voice from another place. With such an original concept for a first book, was it a challenge to write the second one, DEAD IS BEST? Or did you already have the series planned out? I had envisioned a series but in a hazy, intuitive way. No outlines or index cards or stuff like that. And yes, it was tough. And still is. Crawling on my hands and knees in a smoke-darkened burning building, and feeling my way out is how it feels to write these books. But I also get great satisfaction from writing these books and can’t stop thinking about Charlie and Rose and what they are doing and thinking. Did your experience writing episodic television teach you anything about writing a book series? I think so. Writing episodic TV taught me a little about when to end a scene or a chapter, or at least I hope it did. And about how a suspenseful narrative unfolds. So I hope that writing for TV has helped the books. 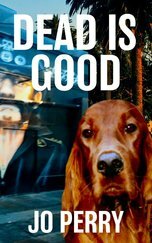 I’ve seen the third book in the series, DEAD IS GOOD, described as a “metaphysical detective novel.” Is that description is accurate? Do you think about genre when you write? “Metaphysical” is a generous way to describe the book, but I don’t think it’s entirely accurate. I suspect that calling the book “metaphysical” says more about what the book is not, than what it is—unconventional. Weird. Life is weird. Death is weirder. And DEAD IS GOOD and the others do not fit neatly into any genre or sub-genre other than mystery. There are paranormal elements but they are not paranormal mysteries. There is the dog, but these aren’t cozies. There are crimes/murders, etc., but the predicament my protagonist finds himself in is alien to most crime fiction. So I’m incredibly grateful to Fahrenheit Press for its wholehearted embrace of genre-busting and unconventional crime fiction. My husband, novelist Thomas Perry, observed that genres are a useful tool for booksellers, not authors. I think he’s completely right. Conforming to genre-formulae can be really claustrophobic. Maybe genre is a fiction. You have also taught college literature and writing. What’s the best or worst advice you’ve ever given a student? I can’t even begin to imagine what my worst advice was. I’m sure that on many occasions I totally missed the point of something I read, or was not careful enough or sensitive enough to tone, intention, etc. I don’t know what my best advice was, either, but I said then and believe now that writing is thinking, that language has to be precise, and that the way to clarity and discovery is relentless revision. I revise constantly and enjoy it. I am working on book four, tentatively called DEAD IS BEAUTIFUL. Still feeling my way in the dark. S.W. Lauden is the Anthony Award-nominated author of the Tommy & Shayna novellas, CROSSWISE and CROSSED BONES (Down & Out Books). His Greg Salem punk rock P.I. 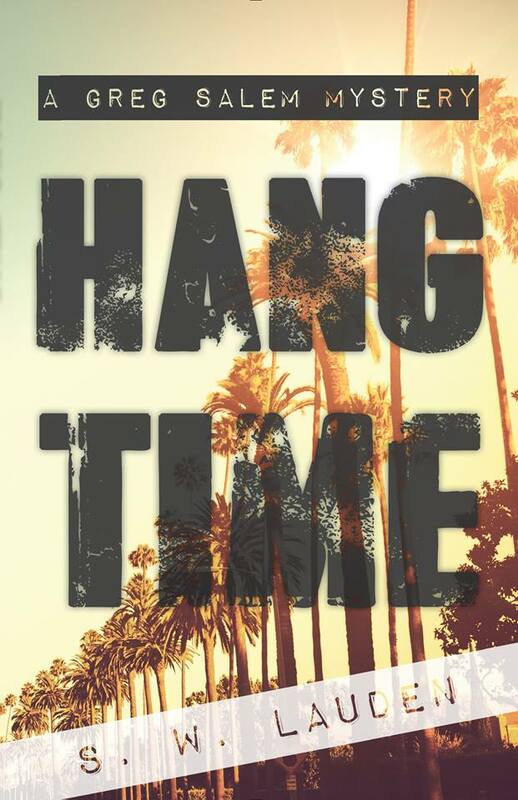 series includes BAD CITIZEN CORPORATION, GRIZZLY SEASON and HANG TIME (Rare Bird Books). He is also the co-host of the Writer Types podcast. Steve lives in Los Angeles. 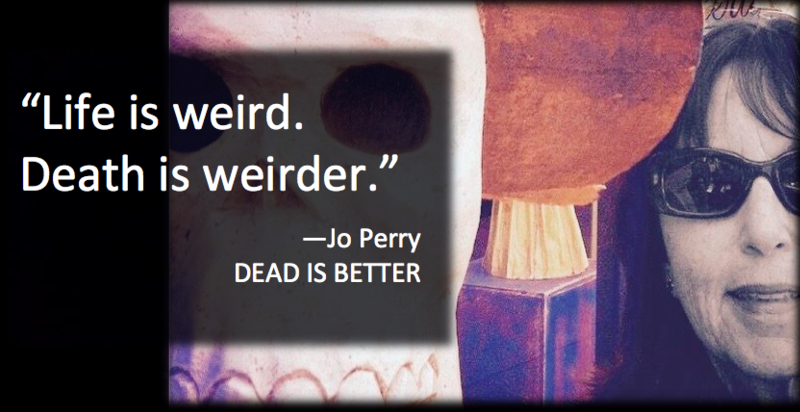 This entry was tagged #amwriting, #interview, #qanda, Dead Is Best, Dead Is Better, Dead Is Good, Fahrenheit Press, Jo Perry. Bookmark the permalink.